Gathering of people for the purpose of discussing delineated topic is called seminar. The seminar is mostly hosted by more than one people. The seminar is a formal meeting held for many purpose where the participant collect the information, knowledge and tips by discussion. To record the attendance and enough information of participants seminar sign in Sheet required. 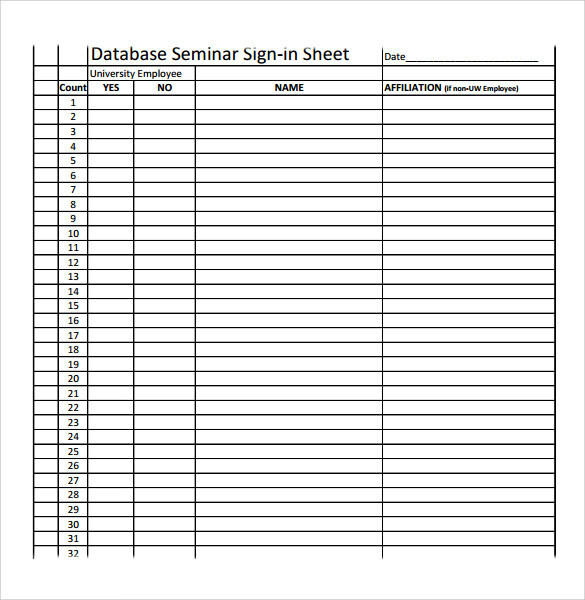 This Sign In Sheets include names of participant, phone numbers, email addresses and organization title and many example and sample of seminar sign in sheet is available and very easy to download in any kind of format. 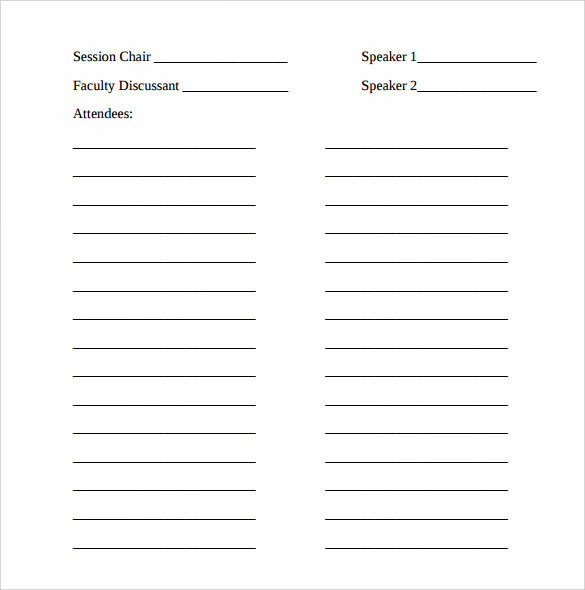 The basic seminar sign in sheet template helps the seminar organizers to fill in all the details of the people attending the seminar along with their names and their signatures. The template can be downloaded, printed and edited very easily and come in as a very handy tool. 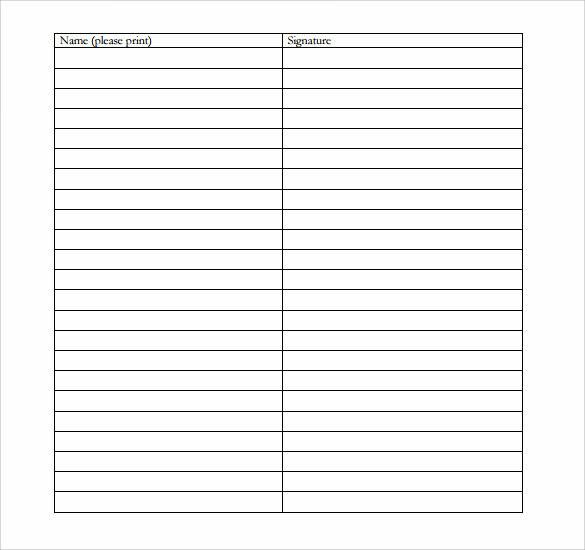 The general seminar sign in sheet template is specifically designed for the open houses, schools and museums where individuals or organizations need to keep a track of the visitors leaving and arriving. This template includes different columns for putting down the purpose of visit and the comments. This template in PDF format helps in jotting down the names, phone numbers and the email addresses of individuals attending a seminar at a specific place. It can even be used in the form of an attendance sheet for any purpose. 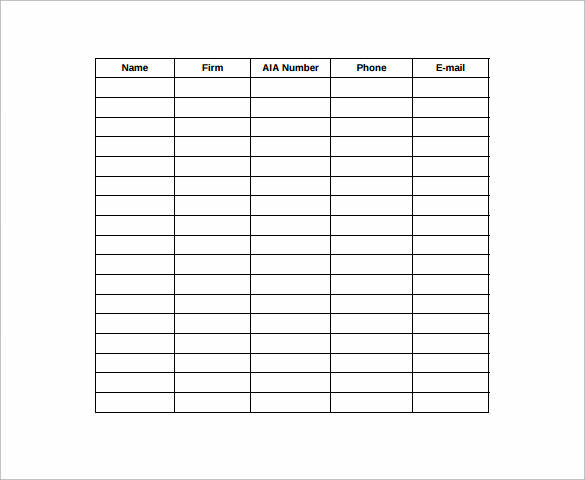 The meeting sign in sheet template helps you in collecting the names, phone numbers and the email addresses of all those people who attend a meeting. 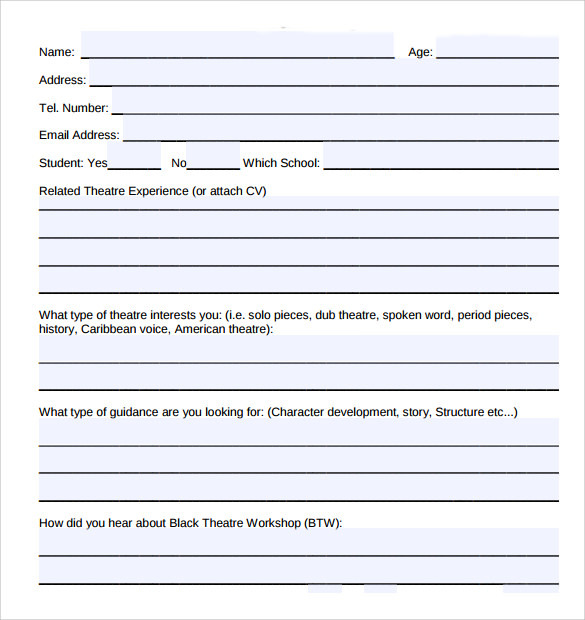 This template can also be used for collecting the details of people attending workshops and seminars as well. 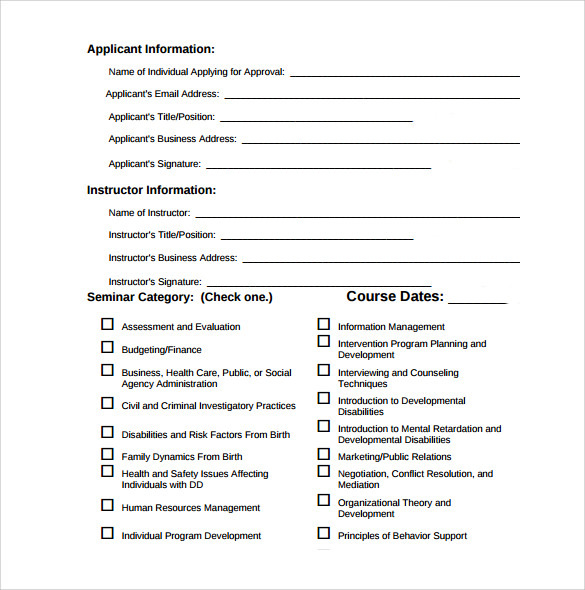 Why Do You Need Seminar Sign in Sheet Templates? Seminar sign in sheet templates are needed when you have to create a sign in and sign out sheet for finding out the number of people who have attended a seminar. These templates can also be used by people who want to track down the number of attendees at a workshop, meeting or conference. The templates help in finding out the number of people who might be interested in attending an event. This automatically helps in getting an idea about the estimates, the costs, quotes and other important information for getting the best prices possible. 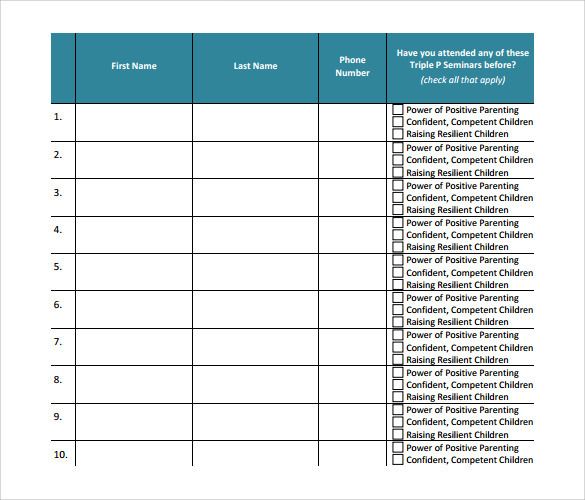 The sign in sheet templates can be of good help and they can serve many benefits when tracking the attendance of the people participating in a meeting or an event. You may like Student Sign In Sheets. When Do You Need Seminar Sign in Sheet Templates? The seminar sign in sheet templates are basically pre-formatted documents that can be of good help in creating personalized sign in sheets for a meeting, workplace, event, workshop or seminar. Essentially, these templates enable companies or users to track and record the details of the meeting attendees or the employees. They are needed when companies or event organizers need to collect the information and the details of people present for an event for different reasons. The templates serve as the best tools for noting down the details of guests and meeting attendees. You can also see School Sign in Sheets. 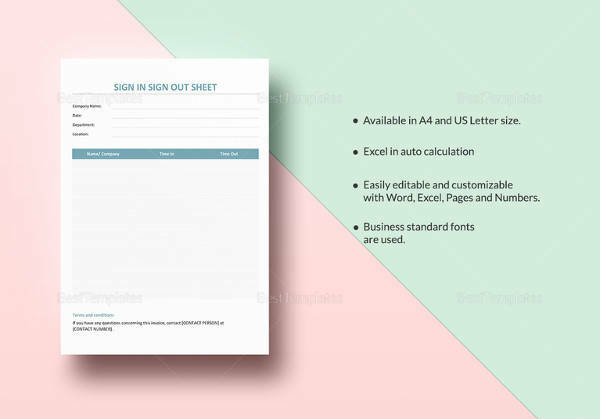 What Are the Benefits of Seminar Sign in Sheet Templates? 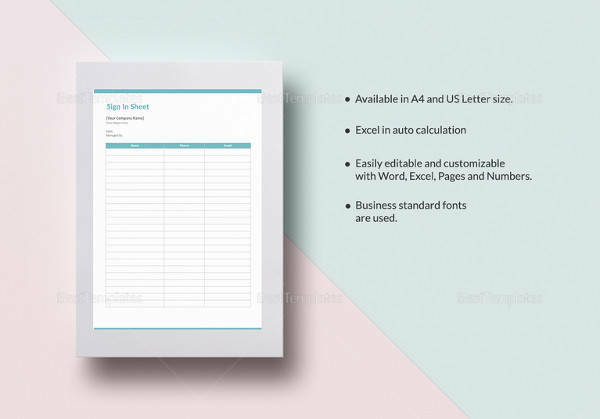 There are different varieties of sign in sheet templates available throughout the internet and these templates can effectively be used for a number of purposes. 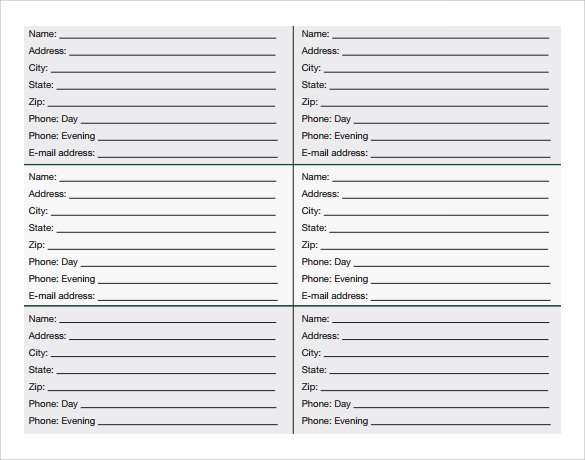 The sign in sheet templates are quite beneficial for people coming from different walks of life. They serve as one of the most professional methods of tracking down the details of the attendees like time in at the venue, name, email, phone number etc. 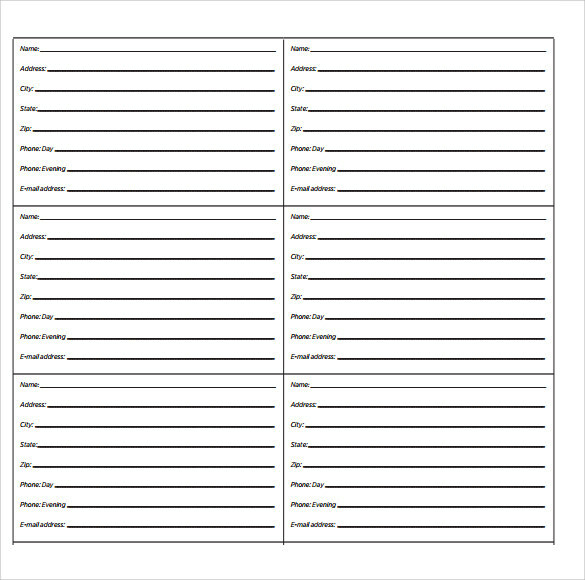 Seminar sign in sheet templates are the most common varieties of sign in and sign out sheet templates used in the present times.